This Shaker Heights home buyer was transferring in to Greater Cleveland, fell in love with the Shaker Heights community due to its proximity to University Circle as well as the charm and architecture of the homes. 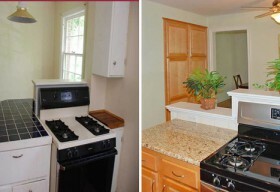 While there are always plenty of Shaker Heights homes for sale, this buyer found a Shaker Heights home which met all their criteria except it had a decades old, closed-off kitchen (common in 1920s Shaker Heights homes), original lead-based paint windows, worn oak hardwood flooring and tired wallpaper and paint. 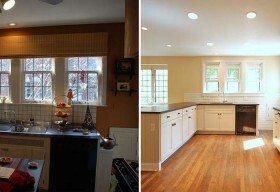 The buyer desired to have a new kitchen, most new windows (both for ease of use as well as eliminating the lead-based paint hazard), refinish the hardwood flooring and update the paint and remove the wallpaper. The solution for this buyer was a conventional renovation loan where the cost of the renovations can be rolled into the first mortgage so there are no out of pocket expenses. Many buyers today do not have the funds available to perform major renovations, so a renovation loan is not only an exceptional option, but oftentimes the only option available. Home equity loans are mostly unavailable when a home is just being purchased. 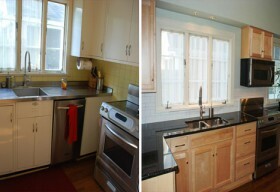 Knowing what renovation loan options exist. There is the FHA 203(k) loan option that has a streamlined version and a more robust version. There is also a conventional 5% down renovation loan program which is not widely known or available which can be an even better option for certain buyers and properties. 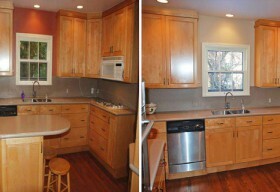 Choosing the right renovation loan option. Ratios of renovation amounts to value and a host of other considerations need to be taken into account so the right loan product is selected. Choosing the right lender. Choosing a lender and loan officer with actual experience in ALL available renovation loan options to help the buyer compare/contrast and decide which option is best is critical. There is no substitute for experience here. Choosing the right REALTOR/Buyer’s Agent. It is also imperative that a buyer’s agent (REALTOR) has experience with renovation loan programs as there are many considerations which are critical to having a successful outcome — read on for details. This is actually step #1, as a buyer’s agent/REALTOR with deep experience and success with renovation loans is the key to the entire process. Olsen Ziegler Realty knows the best lenders, contractors, has extensive renovation loan expertise across multiple loan products, and has the real estate experience to help you make a wise, sound financial decision. Choosing the right property. The “as completed” value (ie. the value the property will need to appraise for counting all the renovation costs) will need to be there so choosing the right property is key. There are many considerations: location, not over-improving so the neighborhood and sold comparables will support the as-completed value, re-sale implications, design, functional obsolescence and other issues a good REALTOR will understand to ensure you are making a wise financial decision and investment. Choosing the right contractor(s). Contractors must be approved by the lender. Choosing a reputable, reliable and cost-effective contractor(s) with actual experience with renovation loans are all key elements to achieving success. 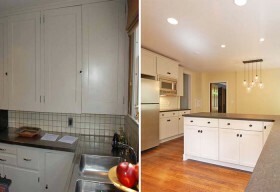 Renovating a 1920s Shaker Heights home also presents its own challenges, so it is imperative to utilize a contractor who has significant experience renovating old, architectural Shaker Heights homes. Get this step wrong and either the loan may not be approved or watch the actual construction process become a nightmare. A good contractor knows the level of specificity needed for bid proposals, has sufficient funds available for material purchase before draws are completed, has the proper licensing and bonding, draws permits for projects, knows the city building officials and what the municipal building codes are so as to be in compliance, can meet exceptionally strict project deadlines with no cost-overruns, and is cost-effective. Finding ALL of these traits in a contractor is very rare but with the right people in place, the process can go very smoothly. Olsen Ziegler Realty has a variety of contractors and trades at our disposal, with proven experience in renovation loans: from general contractors who can handle all aspects, to smaller projects for which only a hardwood floor, painter, plumber and/or electrician is needed. Our buyers projects typically get completed in half the time of typical contractors in the marketplace, and oftentimes at 50% of cost from local, top contractors, while still using quality materials and quality contractors. How is this possible? It’s all about hiring the right, cost-effective contractors. Relationships are everything. Defining and managing scope. Defining scope is a balancing act, which requires focusing on elements which “add value” to a property. The property will need to appraise for it’s “as completed” value, so this step is critical to ensure the property will appraise and the right improvements are being addressed, while still meeting the individual desires and goals of the buyer. 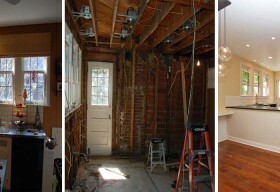 Renovation versus correcting deferred maintenance. While the word “renovation” in renovation loans is the mainstay of these renovation loan programs, this is not the only reason these loans can be utilized. For example, we recently helped a home buyer with a renovation loan program who bought a very old home with tons of deferred maintenance, safety issues and major violations in the home which do not meet current municipal code standards. This buyer had about 40K worth of work to correct numerous deficiencies. These types of properties typically do not qualify for normal financing due to their deteriorated condition. 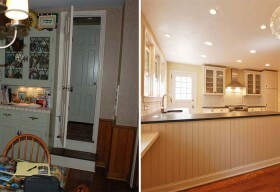 Bringing this property up to the present without renovating it, created a win-win for both the seller and the buyer. The seller had a very small pool of buyers due to the inability for the property to attract a retail buyer due to the lack of normal financing options, and investors want to turn a decent profit, and many owner-occupants who are handymen type, typically don’t have that kind of cash to invest out of pocket, and the buyer gets a solid home once all the repairs are completed, and oftentimes at a total value and cost which is less than typical market value int the neighborhood. Keeping an eye towards eventual resale. This part is also critical to ensure when it comes time to sell your property that your dollars were wisely invested, and your downside is minimized or eliminated and depending on market conditions, perhaps some financial upside will be present. To purchase a property that the market has deemed undesirable due to it’s current condition and has undervalued the property, to have the ability to cost-effectively improve it, with the goal having the property be in either better condition compared to your competition at the final cost, or to be below cost cost and have a better property, is the goal to minimize/eliminate your financial risk and hopefully create some financial upside potential. Typically, this approach creates less financial risk for a buyer than buying a property in decent condition or already renovated, as there is typically more demand for a property which is in better condition. Plus, you get to put your own stamp/design/ideas so the home is truly yours, not the current seller’s tastes. Olsen Ziegler Realty has a 100% track record of completing renovation projects for buyers, sellers and homeowners in Shaker Heights, Cleveland Heights, University Heights and other Greater Cleveland suburbs both on-time and on-budget. Moreover, many of our larger renovation projects have completion time frames of ~50% of the normal timeline compared to many top-notch contractors, and the budget also being the most cost-effective in our local marketplace when comparisons have been done via multiple bids.